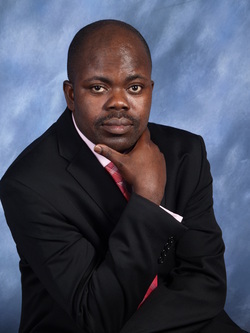 Pastor Ben Adewuyi holds a Bachelor’s degree in Accounting from the Obafemi Awolowo University (OAU), in Nigeria; and a Master of Business Administration (MBA) degree in Finance from Tennessee State University (TSU). He is a Chartered Accountant (ACA) of Nigeria, and a Certified Public Accountant (CPA) of the State of Tennessee. He is the Senior Pastor of the Redeemed Christian Church of God, Agape House, Nashville, Tennessee. He is also the Zonal Coordinator for North Carolina 1, a zone of the Redeemed Christian Church of God in North America (RCCGNA). Pastor Adewuyi is a pioneer of churches; a teacher of the Word, and a friend of the people. He is happily married to Pastor Toro, and they are blessed with Tomisin, Temidayo, Tomiwa, Toni and Toyin. 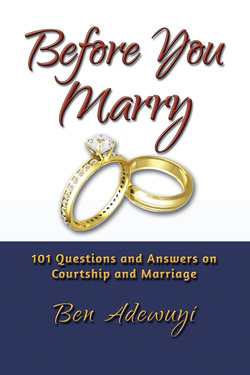 Before You Marry is a question and answer book about courtship and marriage. It details most questions that single people and young adults face in their journey to the altar of “I do.” It also provides answers to these questions in the light of God’s words and perspectives. The book will not only provide information about marriage, but also godly knowledge of it and the wisdom needed for its success. This book will expose common mistakes in marriage and provide solutions on how to make it a success. Applying the suggestions in the book will not only brighten your marriage, it will also make it an example of marital success.